New Quay in west Wales has a picturesque harbour, historical stone pier and pretty townscape, which all help make it a popular holiday destination in the summer months. 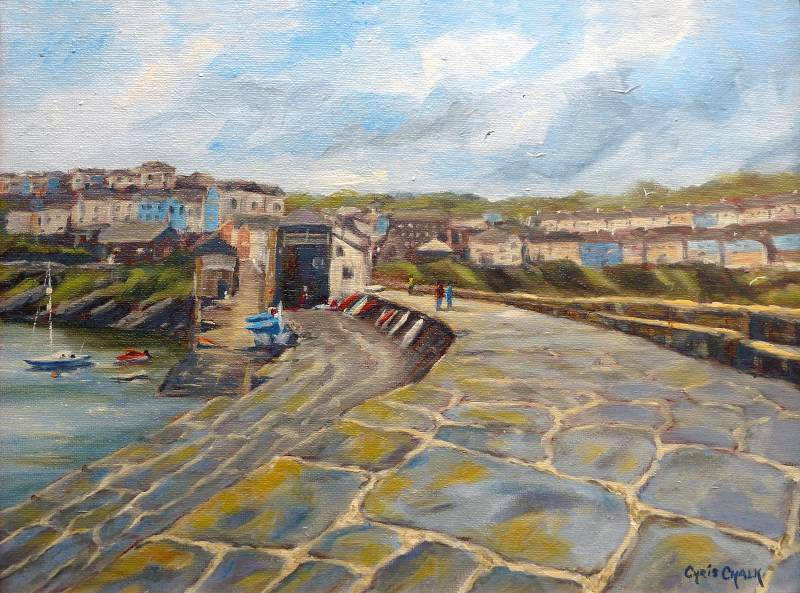 This painting is the view from the end of the stone pier looking back into the the town. "Stroll Along the Pier, New Quay"